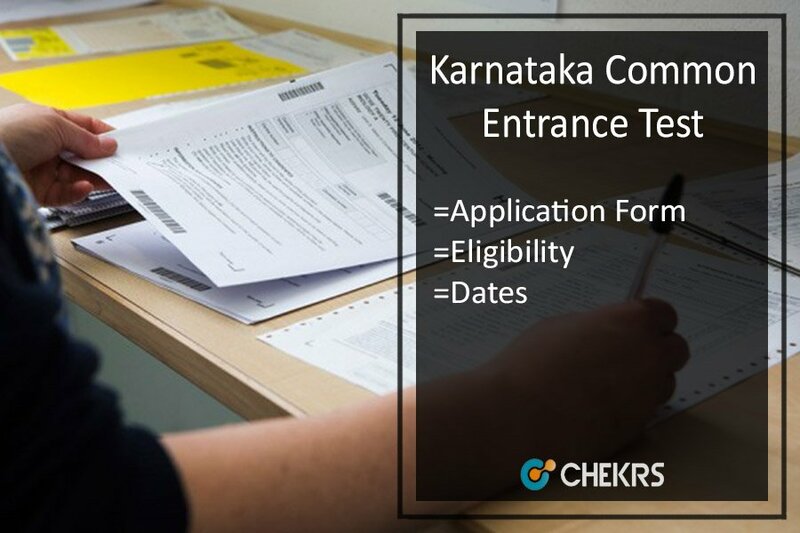 KCET 2018 (ಕರ್ನಾಟಕ ಸಾಮಾನ್ಯ ಪ್ರವೇಶ ಪರೀಕ್ಷೆ): Karnataka Common Entrance Test (KCET) 2018, This is the Entrance exam which 10+2 Undergraduate applicant have to give for the B.Tech. The Karnataka CET 2018 have various programs under the B.Tech course. This examination is conducted by the Karnataka Examinations Authority (KEA) at State level. Every year the KEA conduct this entrance examination for the eligible applicant. The Karnataka Common Entrance Test conducted by the KEA (Karnataka Examination Authority) every year. The ಕರ್ನಾಟಕ ಸಿಇಟಿ 2018 is conducted for the Undergraduate applicant who applying for the B.Tech programs. The applicant will get all the information of the Karnataka CET 2018 which explain below. The students who are interested and eligible can apply for the Karnataka CET 2018. They just have to fill the online application form for the entrance exam. The aspirants are advised to submit the KCET 2018 Online Application Form before the due date. They have to follow some procedure for the downloading and submission of the form. The eligible applicant can follow the steps to fill the form. Click on the official website of the KCET 2018 before the last date. After filling the Application form and submission applicants will have to give one copy of Application form & Fees Challan Copy to College/School. Submit to the KCET 2018 Application Form. Applicants will also submit the KCET 2018 Application form to the respective college. Applicants should pass their 12th from the recognized education Board with the subject of Physics & Mathematics which is compulsory subjects. And with Physics and Mathematics candidates Should pass the qualifying exam with any subject of Chemistry / Bio-Technology / Biology / Electronics / Computer Science as optional subjects. The candidates who apply for the post and who belongs to the general Category they must have to score minimum 45 % marks. And the other candidates who belong to the ST/SC and OBS Category they must have to score the minimum marks of 40%. The applicants who applying for the entrance test they must be meet their criteria as par declared by KEA. Following are the Important dates of the KCET 2018 Important dates which applicant can refer. Candidates who will qualify the Karnataka CET 2018 Entrance examination, for the selected applicants the university has offered some B.Tech programs. The aspirants will be selected on the basis of the merit list. Applicants who apply for the KCET entrance exam now they need the examination syllabus, from this applicants will get to know about the topics of the syllabus. With the help of Exam Syllabus of KCET 2018 applicants can score good marks in their entrance exam. This will help them to get a rank and to be listed in the merit list for admissions. Following are the Karnataka Common Entrance Test exam syllabus give below applicant can refer this point while studying. With the help of exam pattern, aspirants can get an idea about the weightage and difficulty of the exam. Through the exam pattern, the applicant can understand the examination process and understand the examination pattern. After this applicant can finish their exam on time. Following are the KCET 2018 Exam Pattern candidate can refer the following exam pattern. The Sample paper will help to the applicant to known about the way of the examination and understand the examination. Here we provide to the candidate Sample Paper of KCET 2018 this will help the applicant to score good marks in the examination. If the applicant will able to score good marks in the exam then they will shortlist for the merit list and they can proceed toward the admission process. The applicant will get here the list of the KCET 2018 Exam Centers. Following are the Examination Center of Karnataka CET 2017 candidate can refer this. The students have to download the KCET Admit Card for appearing in the exam. The students must note that they will not be allowed to enter the examination center without their admit card. The hall ticket is an important document. The dates for the releasing are not announced yet but it is expected it will be uploaded few weeks before the exam. The aspirants can check their name, roll number exam date, examination venue etc. in the Karnataka CET Admit Card 2018.